Thank you for supporting UF Health’s mission, values and vision for superior patient care, innovative research and world-class education. 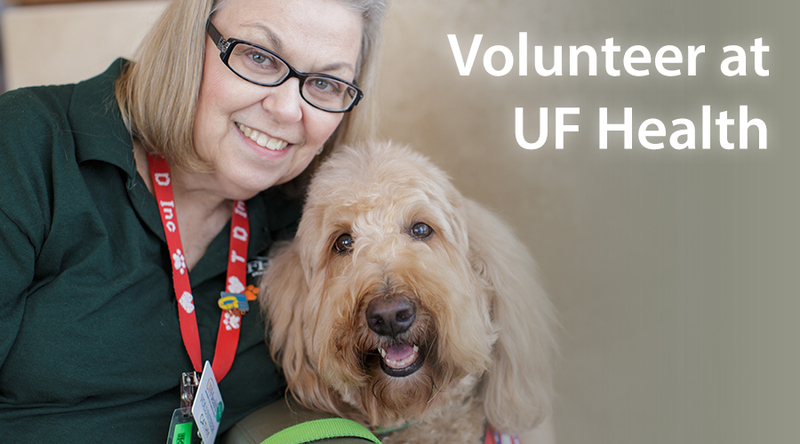 Online gifts to UF Health are secure, simple and immediate. If you prefer to give by mail or phone, contact us. 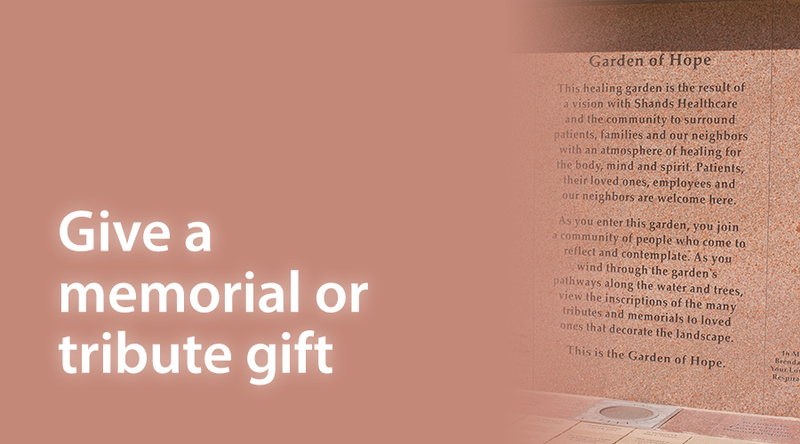 Honor the memory of a loved one by giving the gift of hope and love, or celebrate the life of a friend or relative by making a contribution to UF Health. 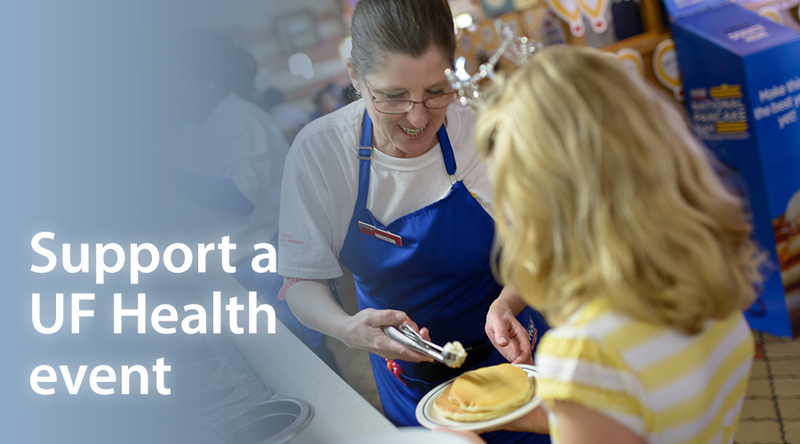 The UF Health Office of Development hosts a number of fundraising events each year. Get started here. Volunteering at an academic health center allows you to interact with visitors, patients and staff associated with one of the Southeast’s premier health care systems. Learn more about volunteering opportunities.